Create and manage an entire knowledgebase using your favorite text editor. 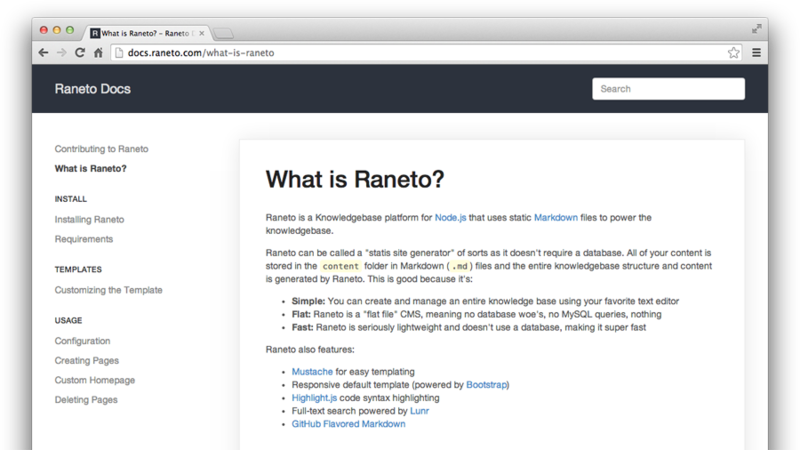 Raneto is a "flat file" CMS, meaning no database woe's, no MySQL queries, nothing. Node is fast + Raneto is seriously lightweight + Raneto has no database = super fast. Raneto is completely free to download and use.